Steinway & Sons Model A-III Grand Piano #167733 was built in 1914. This period is considered to be within Steinway’s true golden era of quality and innovation. Steinway Model A-III Grand Pianos were only produced between 1913 and 1946 making them rare and coveted instruments. 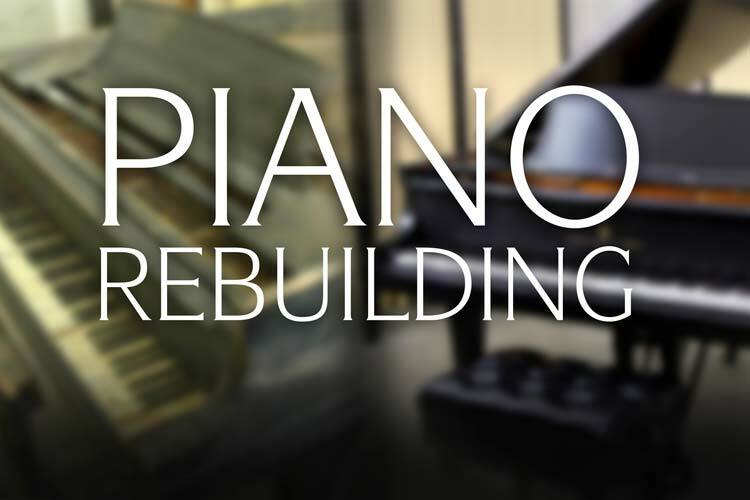 This piano has undergone a complete premium rebuilding and refinishing process to return the instrument to its former glory and a concert-ready status. The Steinway & Sons Model A-3 Grand Piano is one of the most popular models the company has ever produced. 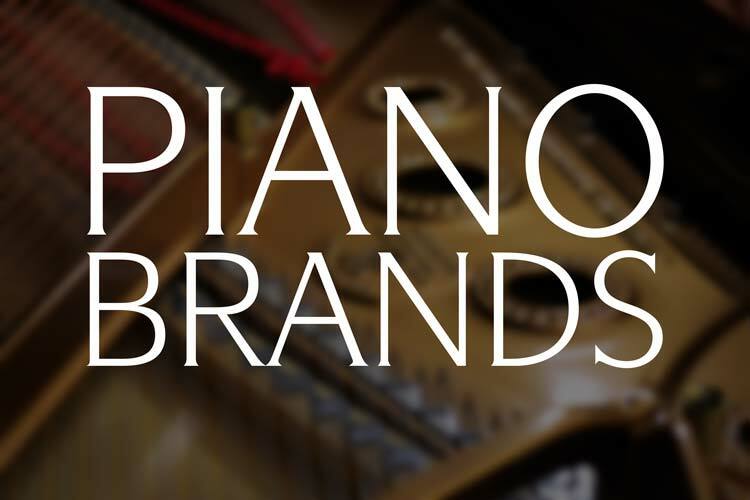 These 6’4 1/2″ instruments offer the powerful and rich quality of tone that Steinway Grand Pianos are legendary for. Larger than the Model A-2 Grand Pianos in production today, when properly rebuilt these pianos are quite comparable in richness of sound to the larger Model B.
Steinway A-3 #167733 features a rich and robust bass with a broad overall tone. The fully rebuilt all German Renner action has been expertly regulated and adjusted to concert standards. Renner actions are highly respected and are utilized in premium Hamburg Steinway pianos. 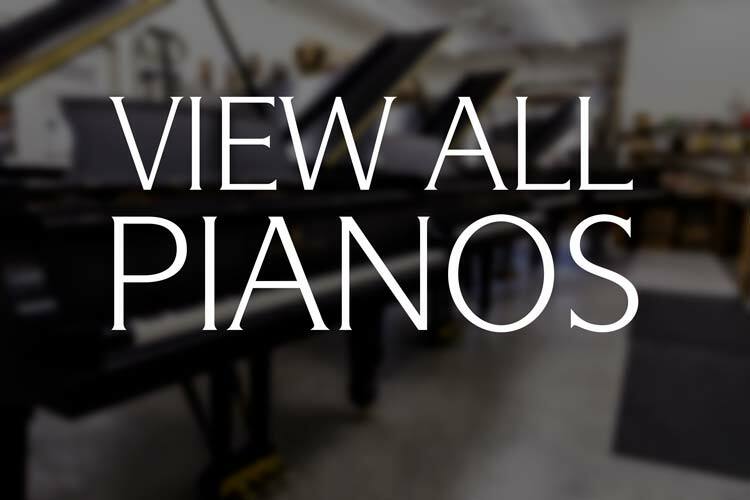 Our piano technicians are well-versed in the art of action and tone regulation. 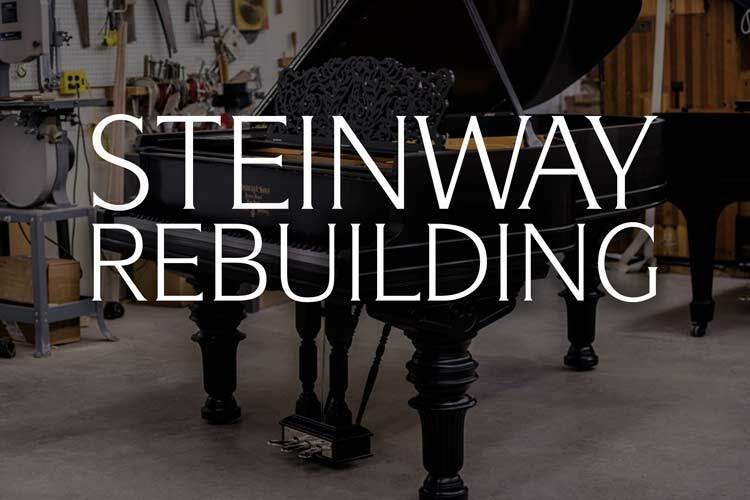 This exacting process is essential in bringing top performance out of each vintage restored Steinway. Premium music wire and custom manufactured soft copper wound bass strings have been coiled to blued Klinke Diamond tuning pins. These have been driven into a new custom fitted hard maple pinblock. Securely fitted to the plate flange, this ensures the highest level of tuning and structural stability. A new soundboard constructed out of planks of close-grained spruce has been custom tapered and fitted to the piano’s case. The original nickel hardware has been re-plated and new premium acrylic keytops have been installed. The cast iron plate/harp has been re-bronzed and hand-lettered. Covered in a rich African Flame Mahogany, the piano’s cabinet is finished with a premium closed pore nitrocellulose lacquer. This natural satin finish has been expertly hand rubbed by our piano refinishers to bring out the distinct grain pattern. The cabinet’s side veneer is quite unique. The grain is run vertically instead of horizontally. This was not done often on Steinway instruments and is quite rare to see. For before and after restoration photos of this Steinway, click here. Renner Premium Blue Hammers, Renner Shanks & Flanges. Chupp’s Piano Service is an authorized installer for the Piano Life Saver System from Dampp Chaser. This advanced system is a combined humidifier and de-humidifier. The Piano Life Saver constantly monitors the humidity level and makes micro adjustments to ensure a stable environment for your prized instrument. 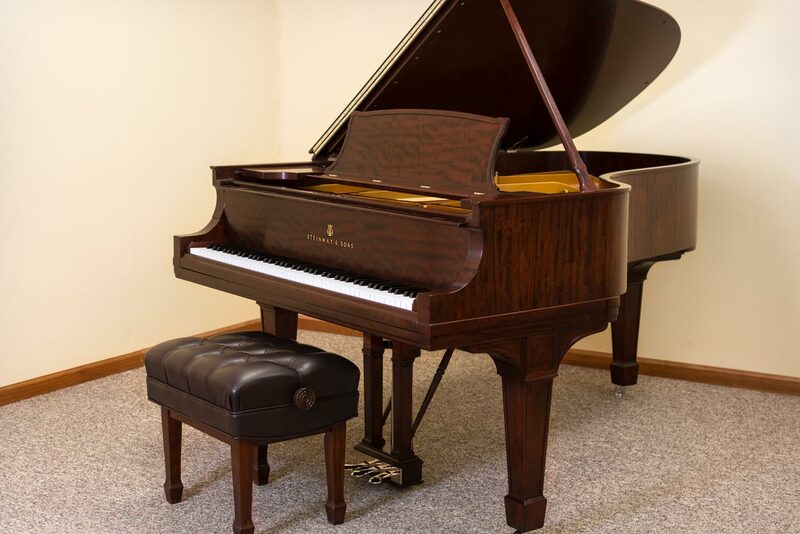 Here at Chupp’s we have utilized these systems for years and we highly recommend you protect your priceless piano with one of these affordable systems. Moving a piano requires expert care and attention to detail. With a typical piano weighing hundreds of pounds, it is essential that you hire experts to move your prized instrument. Chupp’s Piano Moving utilizes specialized equipment to ensure your piano is moved safely and securely. Unlike regular movers, we are piano professionals that understand how to safely and quickly move your piano. 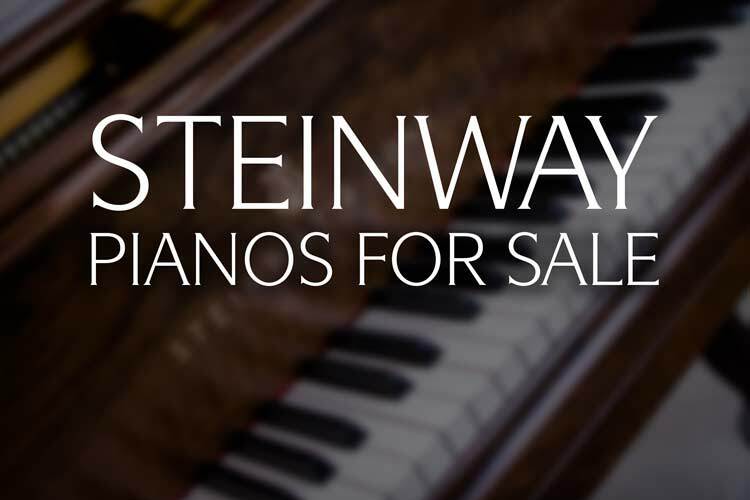 Get in contact with us about this Steinway Model A-III Grand Piano by using the form below or calling us at 1-574-831-5820. Error: Error validating access token: Session has expired on Thursday, 10-Jan-19 19:00:02 PST. The current time is Wednesday, 24-Apr-19 23:04:37 PDT.